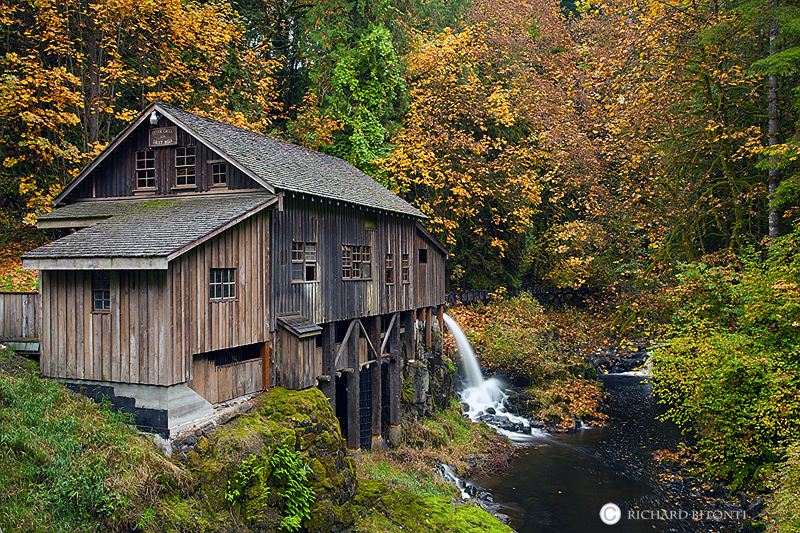 Late fall color decorates the old Grist Mill along Cedar Creek in Southwest Washington. The Cedar Creek Grist Mill rests on a steep and rocky slope at the bottom of a narrow gorge. It is the only grain grinding mill in Washington that has maintained its original structural integrity, grinds with stones, and is water powered. Photo © copyright by Richard Bitonti.